Following the 2018 release of a number of updated versions in the product range, HAKI Scaffolding has released a new Stair Chart PDF – reviewing the full range of its market-leading stair tower systems. Suitable applications and sector uses, accurately tested load classes and permissible people per lift are all now included in the new chart. There’s a real movement right now to make identification of suitable temporary works equipment easier, including better visibility of the limitations of such equipment. We always need to keep in mind that users on site may not have the same level of understanding as the manufacturer in terms of product limitations, such as the number of people permissible per lift. 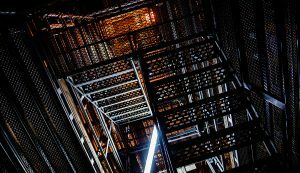 The challenge with any stair system is that it can be purchased for one application, then moved to various sites and be exposed to different volumes of footfall, etc. The question is; does the user or site team understand the limitations of that product? Is it really suitable for their needs? For more technical information regarding HAKI Stair Towers or PAS, please contact us.